Er. Phiroze Masani was a brilliant student, always standing first in every exam, from school to Solicitor’s level! An accomplished philologist, Er. 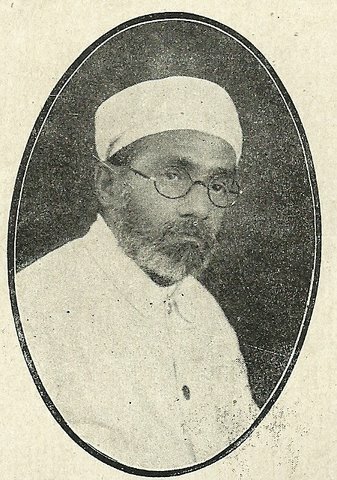 Phiroze was deeply influenced by the vegetarian and temperance movement in the USA and started the Parsi Vegetarian and Temperance Society, even before he met Ustad Saheb. After coming under the influence of Ustad Saheb, Er. Phiroze embarked on a brilliant career, translating many difficult Avesta passages and writing three books on Pazend texts, a feat which has not been tried by any scholar since. To know more about Er. Phiroze S. Masani please read this article. The Pazand texts can be broken into three categories. Afrins – benedictory prayers, Setayshes – hymns of praise to the Divine Beings, and Nirangs – incantations and magical formula to ward of evil. Er. Phiroze has given beautiful explanations and introductions to all these three books, which contain many esoteric detaisl not found anywhere else. His mastery over the Avesta, Pahlavi and Pazend languages is shown through numerous explanatory footnotes and cross references in all three languages. A scholarly masterpiece. At the beginning of the 20th century, some Parsi so-called scholars, under the influence of their western Gurus, began ridiculing the age old practices of our faith and began calling for ‘reform’. In the forefront of these attempts was late ‘Dastur’ Dhalla of Karachi, whose book “Zoroastrian Theology” became the bible for reformists. Alarmed by this turn of events, Ervad Masani, a full fledged scholar of Avesta, Pahlavi and Pazend, undertook to deconstruct this book. In a masterpiece of arguments and drawing heavily from extant Avesta, complete with full references and meanings, Ervad Masani, demolished each and every statement of Dr. Dhalla, even going to the extent of pointing out a whole long list of the inconsistencies and illogical arguments put forth by Dr. Dhalla. This refutation of Ervad Masani has never been challenged by Dr. Dhalla or any of his students, and this book resulted in the Parsi Punchayet cancelling its order of over 100 books of Dr. Dhalla. This book is required reading for all those whose traditional ideas are attacked or ridiculed by reformists, since it contains the answers to each of their arguments. This masterpiece was Ervad Masani’s lasting gift to our community, and bears relevance even today.